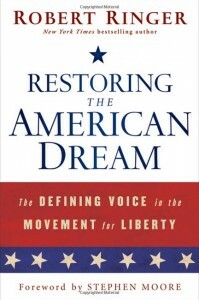 In Restoring the American Dream, Robert Ringer, in his candid, unapologetic style, explains what people must do to take back America and preserve the American Dream for our children and grandchildren. And he makes it clear that the starting point is to accord liberty a higher priority than all other objectives. The Founding Fathers believed that people possess a natural right to sovereignty over their own lives and that government has no right to interfere with that sovereignty. In that vein, the author underscores the point that the American Dream is not about government benefits or government-created “rights.” Rather, it’s about individualism, self-responsibility, personal freedom, and, above all, the idea that people are above government. This completely updated New York Times #1 bestseller — listed by the New York Times as one of the 15 best-selling motivational books of all time — will open your eyes to a whole new world of possibilities. Because human nature and universal principles never change, Robert Ringer’s philosophy is as relevant today as it was when this timeless classic was first published. 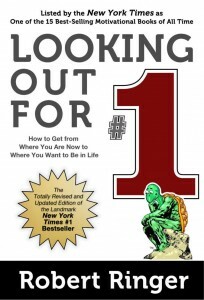 In Looking Out for #1, the author guides you on the most exciting and rewarding journey of your life with his unique insights into how the real world works. Join the millions of people in all walks of life who have discovered the true path to purpose, prosperity, and peace of mind by tapping into Robert Ringer’s treasure chest of knowledge and profound wisdom. The entrepreneur, America’s great unsung hero, is the easiest target for the government’s insatiable appetite to exercise control over the economy. Yet, left alone, he is able to create more and better products and services, create jobs, and, as a result, grow the economy and thereby improve the lives of millions of people through the self-regulating “invisible hand” of the marketplace. 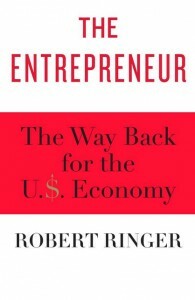 In The Entrepreneur, Robert Ringer makes the case that the time has come for Americans to tell politicians they don’t want any more quick fixes or government “help.” All America needs is for the government to get out of the way and allow the entrepreneur to move our country forward. Completely revised and updated for a whole new generation of achievers, this classic New York Times #1 bestseller has captivated millions of readers worldwide. 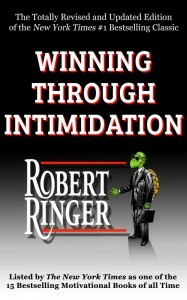 In straightforward, easy-to-understand terms, Robert Ringer explains exactly what intimidation is and how you can defend yourself against the intimidators of the world. If you heed the realities set forth in this landmark book, there will be fewer occasions when you find yourself scratching your head and trying to figure out why a deal you thought you had under control ended up falling apart at the seams. Join the millions of entrepreneurs, business owners, and individuals in all walks of life who have elevated both their business and personal lives to a whole new level of success through this remarkable book. In his trademark, entertaining style, Robert Ringer dispenses with pretentious jargon and offers powerful ideas and strategies that really work. And in doing so, he shatters many cherished, time-wasting myths, including the belief that success is dependent upon one’s being blessed with superior intelligence, special skills, an impeccable formal education, or good luck. 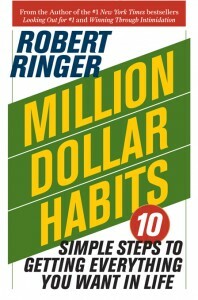 In Million Dollar Habits, Ringer explains that the most certain path to high achievement is to develop the same, simple habits that all great achievers practice, habits that anyone with average intelligence and determination can master. Best of all, since these habits can never be taken from you, once you’ve acquired them, you’re in a position to quickly overcome any kind of adversity and start moving again in the right direction. Ideas are precious commodities, sound preparation is invaluable, and knowledge and wisdom are essential when it comes to achieving greatness. 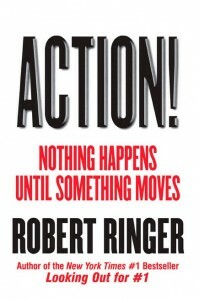 But, says Robert Ringer, ideas, preparation, knowledge, and wisdom are all but useless without action, because action is the starting point of all progress. In Action! the author explains that adversity is never a valid excuse for inaction, because action gives you the power to overcome virtually all obstacles in your path. Adversity is, in fact, the best reason of all for taking action, because it gets your creative juices flowing and brings forth your resourcefulness.